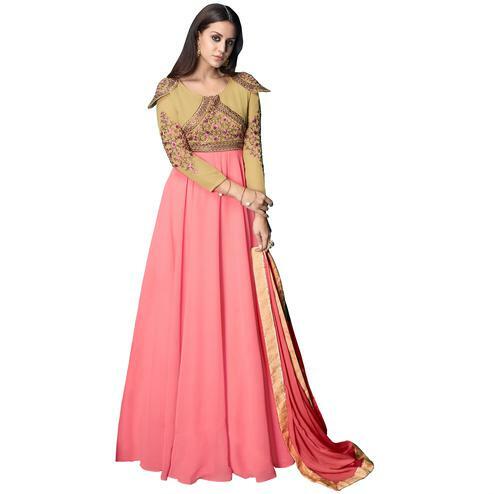 Amass compliments wherever you go dressed in this prepossessing beige and cream georgette & net designer floor length salwar suit this designer floor length salwar suit decorated with embroidery. Accompanied with santoon bottom and chiffon dupatta. Pair it with dangler earrings and shining bracelet for additional attraction. Specially designed to wear for wedding functions receptions engagement ceremony and family occasions where you want to be center of attraction.